Dorothy has walked in your path. As an author, she has written and published a full-length book, short stories and essays, newspaper columns, and feature articles. She understands the value of good editing, and she knows how it feels to submit work for someone else to "work on." As an English teacher, Dorothy "worked on" student writing for thirty-one years. Adolescents and young adults are vulnerable writers. Dorothy learned to mentor them gently toward better writing. 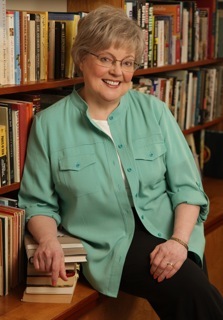 As an editor, Dorothy has gently mentored many authors into publication. She has successfully edited novels, book-length creative nonfiction/memoir, nonfiction self-help, short fiction, and academic nonfiction. Her services have included ghostwriting and rewriting, developmental editing, copyediting, proofreading, and fact checking. Dot's credentials include a Certificate in Editing from the University of Washington; a B.S. in Education with a major in English; postgraduate work in writing education; participation in the development of the 5-Trait Writing Assessment for use in schools in the state of Washington; leadership in a major writers’ association and conference; and the coordination of an intensive writers’ retreat. Terry Hansen has worked in graphic design for over fifteen years. She and her team can work with you to design a book cover, design the book's interior, format the book for publication, and convert files to ebook format. Lois Haynes and Linda Ainsworth total over fifty years of proofreading experience between them, covering fiction, creative nonfiction, nonfiction, academic, and technical writing.